At the heart of Sardinia near the village of Mamoiada, 80 kms from the sea, lies the diminutive 2.5ha estate belonging to local boy Giovanni Montisci and family. Giovanni is a mechanic by trade, turning his hand to the vine on marrying Franzisca during the 1990s. It was only in 2004 that Giovanni started bottling, with production now at approximately 6000 bottles/anno. 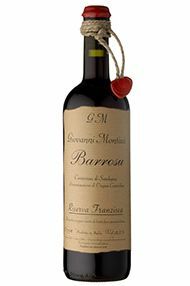 ‘Barrosu’ means ‘standing out’ in dialect Mamoiada is home to the Montisci family and to the Cannonau (Grenache/Garnaccia) vine, that thrives unaided and unirrigated on the red clay and granitic soils, giving sensual, perfumed wines. Vinification is traditional, by hand, in open fermenters followed by ageing in large slavonian oak botte and used French tonneaux (500litre). 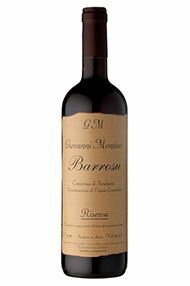 Two Cannonau di Sardegna wines are produced; ‘Riserva’ from 50 year old vines and ‘Riserva Franzisca’ from 80 plus year old vines. These are wonderfully pure, rich and authentic wines, that wear their prodigious alcohol lightly. Freen fig and briar fruit on the nose is underpinned by graphite minerality and cherry stone on the palate. Juicy acidity and ripe phenolics provide a fine backbone. Compared to the Riserva, in my view the 'Franzisca' is deceptively bigger and bolder when young, yet with time it refines itself to the highest level expected of Barolo. It's certainly more difficult to read in youth: it's more reticent, complex, made from 80 year old, free-standing alberello vines on stunning rose granite grit soils that are free-draining and naturally give a tiny yield of precious Cannonau fruit. So named after Giovanni's wife Francesca ('Franzisca' in Sardo), to whom it belongs, the fabulously placed vineyard, on a raised, walled, terrace 1ha plot overlooking their village of Mamoiada (population 2,800), it was their sole vineyard until 'Elisi' was added with the 2007 vintage. 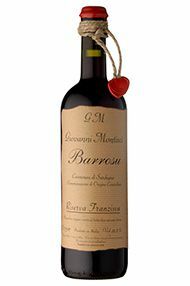 On the palate, it's pure mulberry fruit, with typical old vines decadence and intensity. It's sensational, sumptuous, detailed, coolly mineral, blessed with more natural extract (thanks to the site and the old vines), structure and minerality. It is what Giovanni might call a 'bellino! ', and more besides. 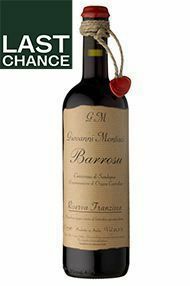 Aged in a combination of large Slavonian oak and French tonneaux barrels. Only 2,000 bottles made. Violet florals, pink peppercorn and earthy notes on the nose lead through to a compact palate. 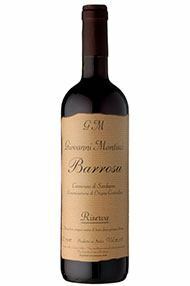 Tamarind, dark fruit and blackberry flavours are layered with fine tannins, while the finish is concentrated and long. This is drinking perfectly right now. 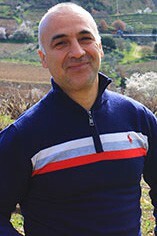 Of Giovanni's two sumptuous Cannonau wines, this is more accessible, born of a higher, 'cooler' (relative to Sardinia! ), younger, more humid and hence more fertile vineyard called 'Elisi'. It sits on the side of a hill, well ventilated, has a great view and is notably more clay-rich granitic, hence giving a fruitier wine. Such was the vintage, with a cool spring and hot summer that the wine sports a super-ripe, yet fresh loganberry fruit nose; it's so enchantingly, violet fragrant - a hallmark of Cannonau (from Mamoiada) - with crunchy, 'essence', suave, sotto-bosco (wild blackberry) compote flavours,similar in profile to Chateauneuf du Pape, with which it shares Cannonau/Grenache. Only 3,500 bottles made.